Inspired by a feature in Great Food Leicestershire and Rutland I went down to Brock’s Hill Country Park in Oadby to take a look at its community orchard. I was grateful to find this lovely, quiet piece of greenbelt woodland with an interesting visitor centre, but found the orchard to be curiously undersold. There was little reference to it the various information and leaflets on display, and I could find only apples, none of the cherries and pear trees that are apparantly there too. I did find one reference to the fact that the orchard was maintaining old varieties but this didn’t appear to be mentioned on any signage so it wasn’t really possible to know what was growing there – although there clearly were a range of varieties, some pippinesque, others russett. Vistors can take a couple of ripe fruits if they wish and while most of the low hanging fruit had gone by my visit, I did manage to find one beauty which I enjoyed with a bit of cheddar for lunch. 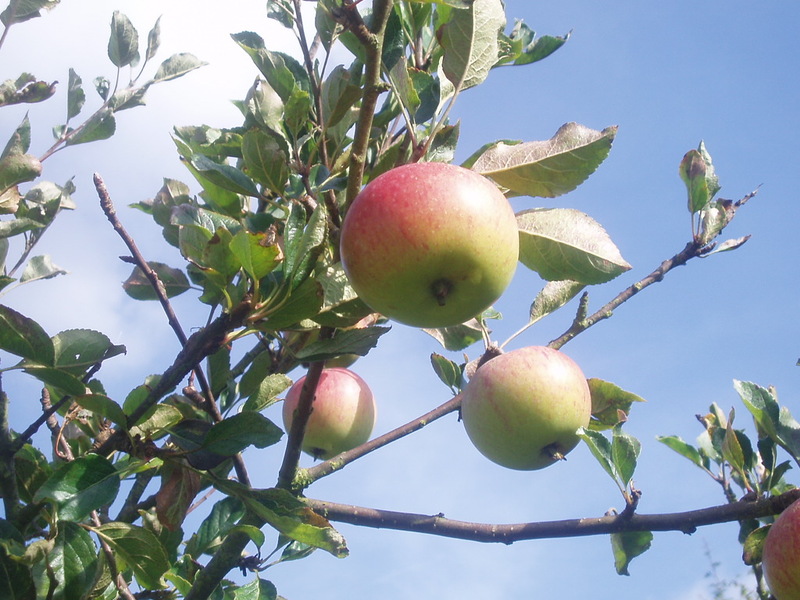 Community orchards seem like a wonderful idea to me – mainly for the creation of attractive, characterful green space but if they help supply fruits too, then great. For those of us living in densely packed city streets with small paved yards out the back, they could be a very welcome space. Plums, cherries and other soft fruits are not suited to supermarket supply chains and hence can be ridiculously expensive. It’s good to see another orchard is in development in Franklin Park, Braunstone and which will open next year. There are others in Bagworth, Ratby, Hose and Wymeswold. If we could find space on the South Side of the city, this is certainly a cause for which I’d volunteer.